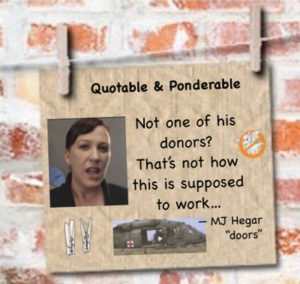 This is the other part of Mr. Pete’s (Peter Gladue) post about a truly amazing woman(MJ Hegar) which focuses on her campaign video. Read on! Going back to the MJ’s powerful and masterfully edited “Doors” video, we open up with a shot of people gathering for a family meal. 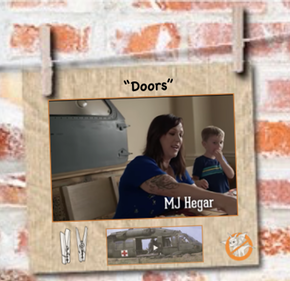 We focus on a wall behind the dinner table, where we are introduced to an art piece that is actually the door of a Medevac Helicopter. This theme of “Doors” truly works as we are taken on a 3.5-minute journey through her life – where we are introduced to her “door” challenges and how she dealt with them. She recalls the sound of breaking glass with the context being spousal abuse and her mother’s decision to walk through the door to a new life for her and her girls. The “Doors” represent challenges in her career: Her desire and skills OPENED the door for pilot training for the Air National Guard. However, “Doors” closed after she was injured when her overcrowded Medevac, was shot down (She earned a Distinguished Flying Cross). Having recovered from her injuries, she wished to continue her military career only to find there was a Combat Exclusion Policy in place. Well she didn’t care for that so instead of sitting back and accepting it, she worked to get the policy changed. It was repealed in 2013. Her experience with this challenge gave her a taste for politics. She tried to meet with her congressman and even though she was a veteran and lived in his district, the door was closed to her because she wasn’t a DONOR. Well that was a MISTAKE – which inspired the desire to run for office against that congressman. 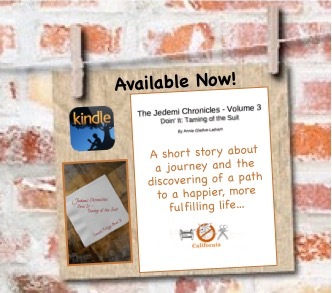 What a great story – one that will sure resonate for sure! Learning about MJ got me wondering… Years from now, will history books, recognize that society cannot continue to accept limitations put on people based on gender and/or race or finances? I don’t know what the future will hold for M.J. Hager, but her story is definitely part of her generation’s “Profiles in Courage.” It really doesn’t matter if she wins or loses this November. Her story will live on as we leverage the Internet to share it with others, so they can be inspired. M.J. Hager’s story needs and deserves to be acknowledged and witnessed by the world, and be accepted—not as a “women’s” story per se, but as a person who is has the courage to bust through doors for the betterment of society and the future of humanity. We especially enjoyed the DragonBustR comment here. 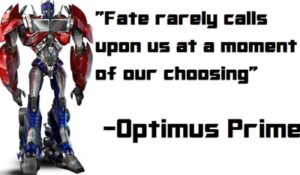 Also, this reference towards the end of the 11-minute talk. Thanks for reading! May the Jedemi Force be with you! 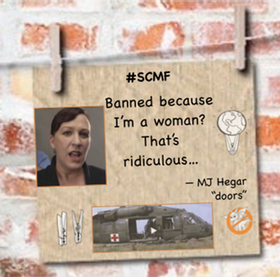 #SCMF ! Visuals play a big role at Jedemi. Moving pictures that tell a story and / or enlighten can be found here.